Behind the Scenes. . HD Wallpaper and background images in the フルハウス club tagged: full house stephanie tanner d.j. 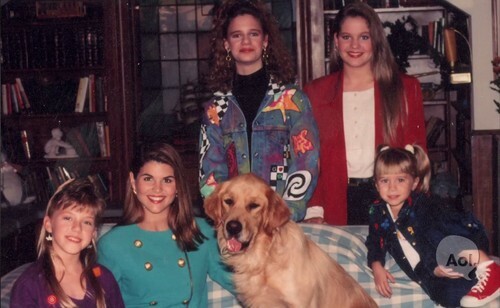 tanner kimmy gibbler rebecca becky michelle tanner behind the scenes comet olsen twins. This フルハウス photo might contain ゴールデンレトリバー and ゴールデン ・ リトリーバー.